The rich flavours, exquisite pairings and a dash of je ne sais quoi make us go weak at the knees for the fine cuisine at L’Entrepôt – French for warehouse. The best part is that the easily digestible bill prevents this experience from burning a hole in your pocket. 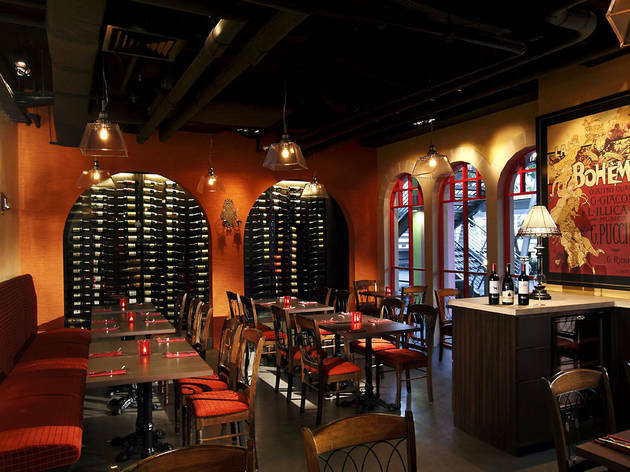 Set against the bustle of the Singapore River, this quiet promenade eatery dishes out flavoursome favourites. After breaking the golden emmental crust of the French onion soup, the cheese stretches perfectly from the bowl to your mouth. Quail is covered with risotto and served with foie gras, field mushrooms and the essence of black-truffle jus to enhance the dish. For further indulgence, the meal should conclude with classic crêpes Suzette, the caramelised sugar and tangy orange rind making this the perfect grand finale. 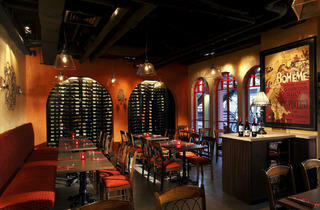 The intimate atmosphere, coupled with a wait-staff that knows its vin from its veau, make for a delectable night out.